Donald Trump has backed a fresh drive by the United States to re-engage with Australia and Asia on trade deals such as the Trans-Pacific Partnership, which he bailed from during his first week in office, says a rising Republican senator who instigated the push. After winning bipartisan support in Congress, the President signed, in the dying hours of 2018, a cornerstone initiative that has been overshadowed in Washington by a damaging and record-long partial government shutdown, heading towards a fourth week. However, the enacting of a new law is a significant step for the Congress and White House, which have delivered a bold statement of intent that the US is determined to stay engaged across the Indo-Pacific on security and trade. It represents a major effort to assuage allies’ concerns that a US withdrawal would create a power vacuum in favour of a more assertive China. 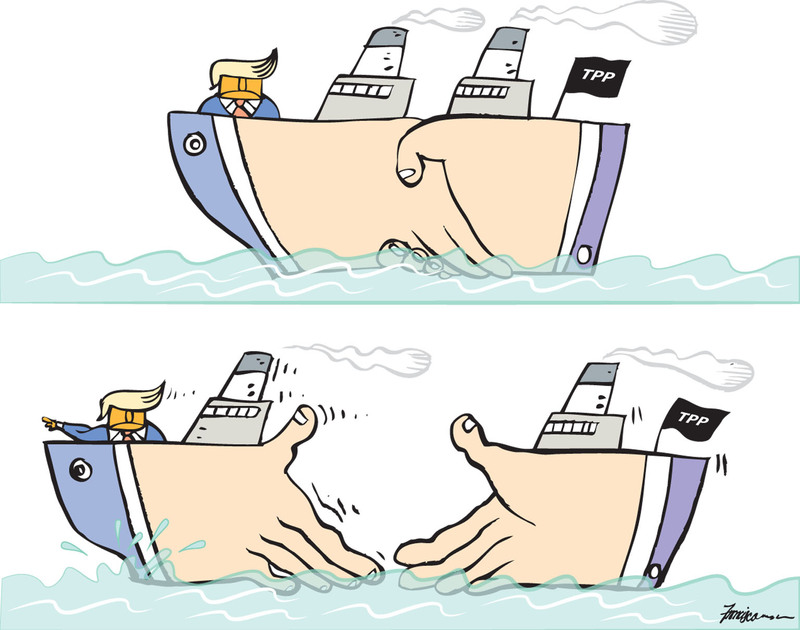 The so-called Asia Reassurance Initiative Act (ARIA), which Mr Trump ratified without fanfare as one of his final acts on New Year’s Eve, includes a call for the US to return to multilateral trade deals, countering the President’s own tendency to pursue agreements with individual countries such as Mexico, Canada and Japan. Responding to questions from The Australian Financial Review, Republican senator for Colorado, Cory Gardner, who spearheaded the law’s passage through Congress, described it as an opportunity to "re-engage in trade conversations" including the Trans-Pacific Partnership. "This bill has broad support, not only within Congress, but the administration itself," Senator Gardner said. "They [the White House] signed off on an agreement that has multilateral, bilateral trade language in it and we need to pursue that."